Windows 8 supports applications being built in C# / XAML / VB.Net / C++ / HTML+JS. The new UI framework ‘Jupiter’ allows applications to be written in your language of choice. This is similar to how the .Net framework allowed people to code against the framework in their language of choice. I’m more excited about the new possibilities coming in the new Jupiter XAML programming model than the misconception that HTML+JS is the only way to create apps. DirectUI: The underlying framework that creates, draws the visual elements on the screen. 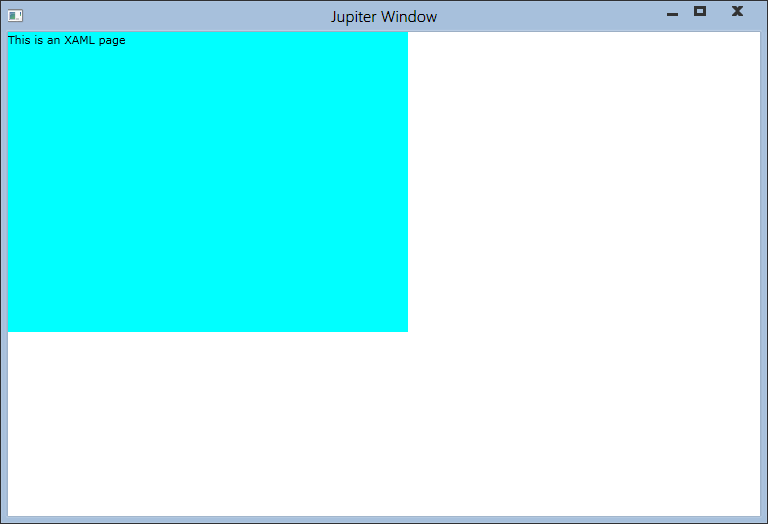 Jupiter: The new packaging format of applications on Windows 8. Allows apps to be written in language of choice. 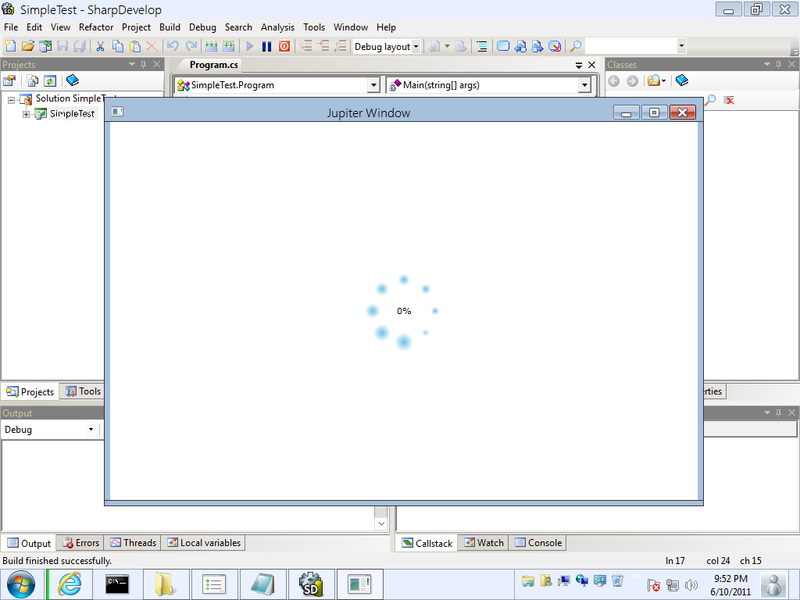 Immersive applications: Current theory is that these are apps that execute within the ‘new shell’ in windows 8. And are aware of being split paned and resized. Like was shown with the RSS feed reader. Now it seems that Direct UI is being overhauled to have additional functionality to load XAML applications, new animations, etc. …your SL/WPF skills will be invaluable for DirectUI apps, and you get a new framework that is seriously lean!!! Jose Fajardo has been a great source of information on Windows 8 leaks. From information he has dug up, as well as information on the forums, it seems that the new Jupiter programming API is a mashup between WPF & Silverlight. As far as I can see, Jupiter is not Silverlight nor WPF, its another kind of framework that kinda similar or compatible to Silverlight/WPF code. So Sinofsky is right, that ‘Silverlight’, as we know it, is still a Browser/Desktop thing. What he didn’t say is, the ‘Jupiter’ framework will enable you to leverage your Silverlight/.NET skills to write Immersive (or desktop) applications in XAML/C#/VB/C++, its very very similar, but not exactly the same thing. The situation is similar to the relationship of Silverlight and WPF and Silverlight for Phone, you need to create different project in VS, then you can write very similar UI/code, even sharing most of your portable code in a common library, but the underlying technology are still very different. *speculation* This could be because of the calls from the development community to make WPF & Silverlight more aligned. 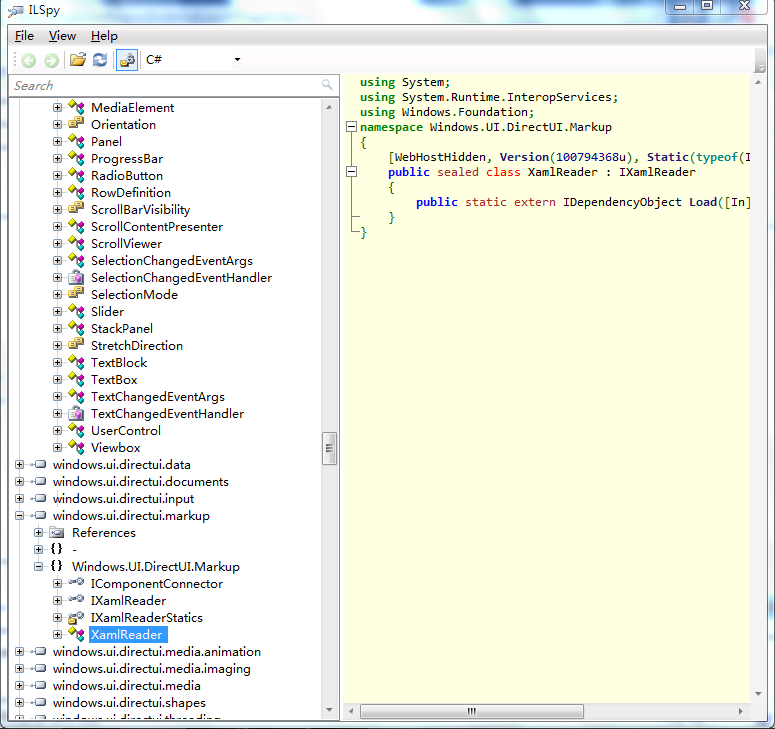 Perhaps we’ll see an updated ‘Silverlight’ framework when Windows Phone 8 is released that is compatible with Jupiter. As further evidence that Jupiter applications can be created with your language of choice, and that it has roots in Silverlight, here are some examples of how to create applications. Here is an example of using C# to invoke a new Jupiter based application. The really interesting thing to notice here is that the loading screen has the iconic Silverlight loading animation! Immersive applications are ones that were shown to live inside of the new Windows 8 shell. Examples of functions that an immersive app can do can be seen with the RSS reader app. When it was docked and resized, it knew to display its data in a different format. Will this work for existing applications? There is evidence that existing applications can be wrapped up in the new packaging format. So while existing applications may not run with the new Direct UI framework, it seems they will still be able to be packaged and distributed through the Windows 8 App store. This was discovered by Long Zheng a few months ago. The AppX format is universal enough so it appears to work for everything from native Win32 applications to framework-based applications (WPF, Silverlight) and even *gasp* web applications. Games are also supported. While Microsoft only showed off the HTML hooks into Jupiter, I am a LOT more excited about the upcoming XAML based framework. If you are an existing WPF, Silverlight or Windows Phone 7 developer, it seems that your XAML based skills will carry across fine to the new development framework on Windows 8. My thoughts are that Microsoft announced that applications can be created in HTML in the same way that they announced it in WindowsXP with active desktop, and then again in Vista with “HTML based sidebar gadgets”. It was a way of saying “hey you can use your existing web skills to create applications on Windows 8. And that Microsoft plans on unveiling the new Jupiter SL/WPF hybrid framework for all of the “Real developers” at BUILD in 3 months. We’ve heard the story of Flickr’s multiple production releases in the same day. It sounds like a lofty goal, which may be attainable via the right charms, chants and dance moves done at the stroke of midnight on the second Tuesday of April. In this session Steve Godbold will walk you through what constitutes continuous delivery and just how you can work your way towards a more pleasant release experience. In a current Silverlight application we had the scenario where we needed to validate a data form. When the user entered some data, we needed to run some custom validation code against the database to ensure that it was valid. Unfortunately standard custom validators that you put into a .shared.cs file will not work. As any database logic that you wrote, while working on the domain service side, would not be able to compile on the Silverlight side. After a LOT of research, my team came across this blog post by Nikhil Kothari (@nikhilk) that describes how you can write custom validation code that is ONLY executed server side. This allows you to write code that access databases, etc. that cannot be executed client side. Nikhil also then goes into more details on how you can get client side UI notifications, by adding Asynchronous Validation to the UI.